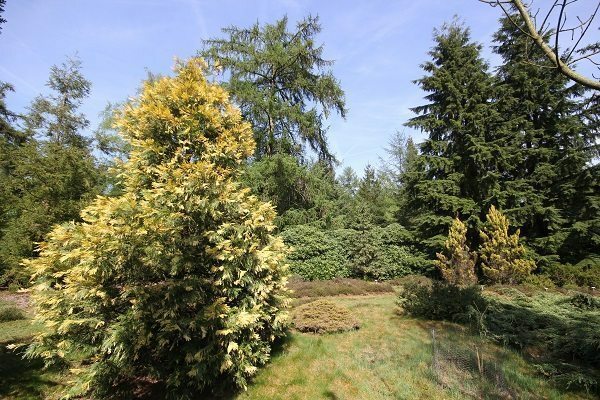 In the Pinetum Ter Borch near Anloo you can find more than 400 different species of conifer trees, arranged in a beautiful setting. The park was started in 1954 by Everhard Everts jr., a rich timber tradesman. Everts became fascinated by the forests he saw on his travels to Scandinavia and North America. He decided to start a collection of trees on the family estate Ter Borch, near Anloo, which the family owned since 1910. In 1970 Staatsbosbeheer became owner of the estate.